The world, characters, and situations detailed in the many chronicles of PopoloCrois did not originate in the medium of video game, but rather as a manga, or comic series, penned by creator Yohsuke Tamori. And this manga series is probably a lot older than you'd think, officially debuting in late 1978 and early 1979 via Japanese periodicals called "Dakkusu" and "Pafu" before later being serialized in 1981 via the "Asahi Shougakusei Shimbun," or Asahi Elementary Student Newspaper. The world was first introduced to Prince Pietro Pakapuka, Narcia, the White Knight, the GamiGami Devil, Guilda, the Black Baron and more through this series, which was intended to bring a fresh, fun fairytale fantasy aesthetic to the contemporary Japanese manga scene. Things have certainly changed in the many decades hence, with character art, settings, and even backstories and personalities shifting and evolving quite a bit into what we see today in Return to PopoloCrois: A STORY OF SEASONS Fairytale – yet the foundation of modern PopoloCrois is still unmistakably present throughout these many hand-drawn pages. We at XSEED Games would therefore like to invite you to read and enjoy this tale of Prince Pietro's very first adventure, in its entirety. 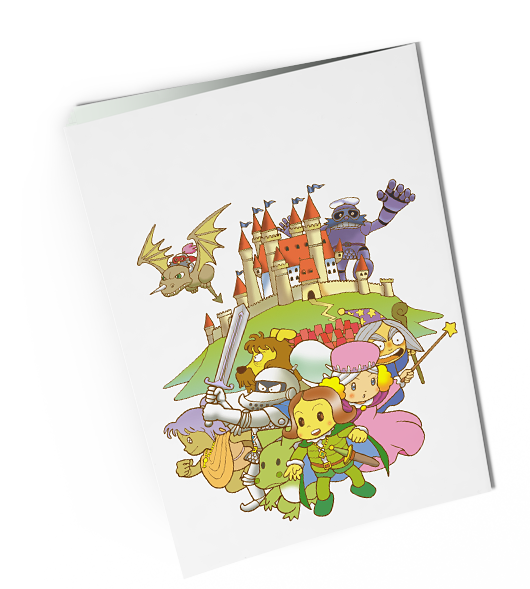 Taken straight from the initial 1981 serialization, this story beautifully introduces all the mainstays of PopoloCrois lore, and is presented here in English for the first time ever. Note that as this is a traditionally formatted Japanese manga, each page should be read from RIGHT to LEFT, beginning on the top-right panel or comic bubble and ending on the bottom-left. Click the cover image to begin reading!